The Reserve Bank of India (RBI) is India's central banking institution, which controls the monetary policy of the Indian rupee. It commenced its operations on 1 April 1935 during the British Rule in accordance with the provisions of the Reserve Bank of India Act, 1934.The original share capital was divided into shares of 100 each fully paid, which were initially owned entirely by private shareholders. Following India's independence on 15 August 1947, the RBI was nationalised on 1 January 1949. The RBI plays an important part in the Development Strategy of the Government of India. It is a member bank of the Asian Clearing Union. The general superintendence and direction of the RBI is entrusted with the 21-member Central Board of Directors: the Governor, 4 Deputy Governors, 2 Finance Ministry representatives, 10 government-nominated directors to represent important elements of India's economy, and 4 directors to represent local boards headquartered at Mumbai, Kolkata, Chennai and New Delhi. Each of these local boards consists of 5 members who represent regional interests, the interests of co-operative and indigenous banks. What is the structure of RBI? 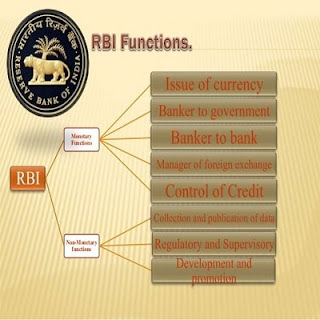 What are the main functions of RBI? The bank issues and exchanges currency notes and coins and destroys the same when they are not fit for circulation. The objectives are to issue bank notes and give public adequate supply of the same, to maintain the currency and credit system of the country to utilize it in its best advantage, and to maintain the reserves. RBI maintains the economic structure of the country so that it can achieve the objective of price stability as well as economic development because both objectives are diverse in themselves. For printing of notes, the Security Printing and Minting Corporation of India Limited (SPMCIL), a wholly owned company of the Government of India, has set up printing presses at Nashik, Maharashtra and Dewas, Madhya Pradesh. The Bharatiya Reserve Bank Note Mudran Private Limited (BRBNMPL), also has set up printing presses in Mysuru in Karnataka and Salboni in West Bengal. In all, there are four printing presses. And for the minting of coins, SPMCIL has four mints at Mumbai, Noida (UP), Kolkata and Hyderabad for coin production. As the Reserve Bank of India has the sole right to issue currency notes except one rupee notes which are issued by the Ministry of Finance. Currency notes issued by the Reserve Bank are declared unlimited legal tender throughout the country. This concentration of notes issue function with the Reserve Bank has a number of advantages: (i) it brings uniformity in notes issue; (ii) it makes possible effective state supervision; (iii) it is easier to control and regulate credit in accordance with the requirements in the economy; and (iv) it keeps faith of the public in the paper currency. As banker to the government the Reserve Bank manages the banking needs of the government. It has to-maintain and operate the government’s deposit accounts. It collects receipts of funds and makes payments on behalf of the government. 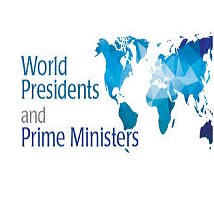 It represents the Government of India as the member of the IMF and the World Bank. The commercial banks hold deposits in the Reserve Bank and the latter has the custody of the cash reserves of the commercial banks. The Reserve Bank has the custody of the country’s reserves of international currency, and this enables the Reserve Bank to deal with crisis connected with adverse balance of payments position. The commercial banks approach the Reserve Bank in times of emergency to tide over financial difficulties, and the Reserve bank comes to their rescue though it might charge a higher rate of interest. Since commercial banks have their surplus cash reserves deposited in the Reserve Bank, it is easier to deal with each other and settle the claim of each on the other through book keeping entries in the books of the Reserve Bank. The clearing of accounts has now become an essential function of the Reserve Bank. Since credit money forms the most important part of supply of money, and since the supply of money has important implications for economic stability, the importance of control of credit becomes obvious. Credit is controlled by the Reserve Bank in accordance with the economic priorities of the government. The RBI has four zonal offices at Chennai, Delhi, Kolkata and Mumbai. It has 19 regional offices and 11 sub-offices. 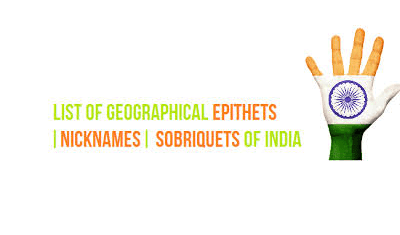 Regional offices are located in Ahmedabad, Bangalore, Bhopal, Bhubaneswar, Chandigarh, Chennai, Delhi, Guwahati, Hyderabad, Jaipur, Jammu, Kanpur, Kochi, Kolkata, Lucknow, Mumbai, Nagpur, Patna and Thiruvananthapuram and sub-offices are located in Agartala, Aizawal, Dehradun, Gangtok, Imphal, Panaji, Raipur, Ranchi, Shillong, Shimla and Srinagar.